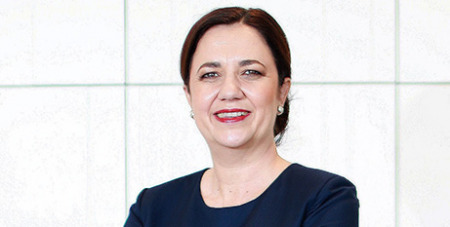 Queensland Premier Annastacia Palaszczuk has insisted the issue of euthanasia will not be on the political agenda during the first year of her new government. Source: The Australian. Former Brisbane Lord Mayor Clem Jones left $5 million in his will to support euthanasia law reform in Australia, and Clem Jones Trust chair and solicitor David Muir says some of that money will be used to press for change in Queensland. The trust helped to fund Go Gentle Australia, which successfully advocated for the legalisation of voluntary assisted dying in Victoria. That state’s law will come into effect in 2019, after an 18-month implementation period. Mr Muir said he had written to every Queensland MP and wanted a parliamentary inquiry into euthanasia reform established this year, as well as for the Labor government to adopt the Queensland ALP’s position on euthanasia. But Ms Palaszczuk said she wanted to see how the Victorian legislation operated before taking any other steps. “Maybe down the track (a parliamentary inquiry into euthanasia could occur), but it’s not on our agenda for the first year of government,” she said. She said she had not made up her mind yet whether she was for or against the legalisation of euthanasia. “I’ve witnessed my grandfather who suffered terribly from cancer in the final stages of his life; I think that anyone who watches such a tragedy unfold, especially someone so close and such a loved one, is of course going to be moved by that,” Ms Palaszczuk said. Queensland Opposition leader Deb Frecklington said she did not think the current laws should be changed. “It’s a very emotive issue, and my position is personally … that the laws don’t need to change,” Ms Frecklington said.